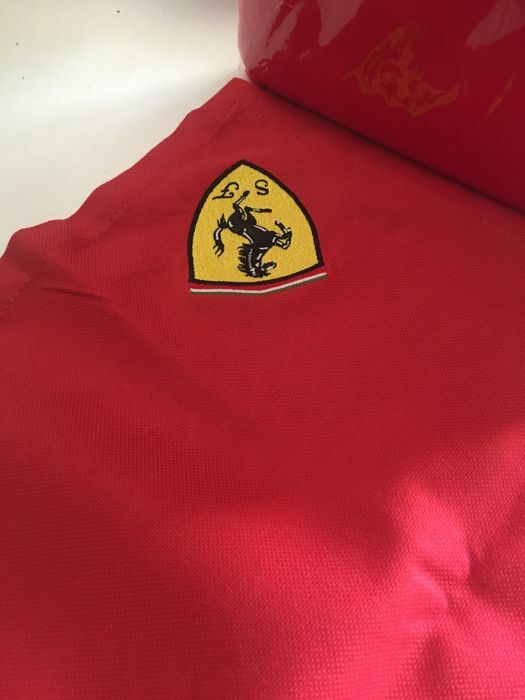 Beautiful framed embroidery featuring the Scudetto, from 1960. 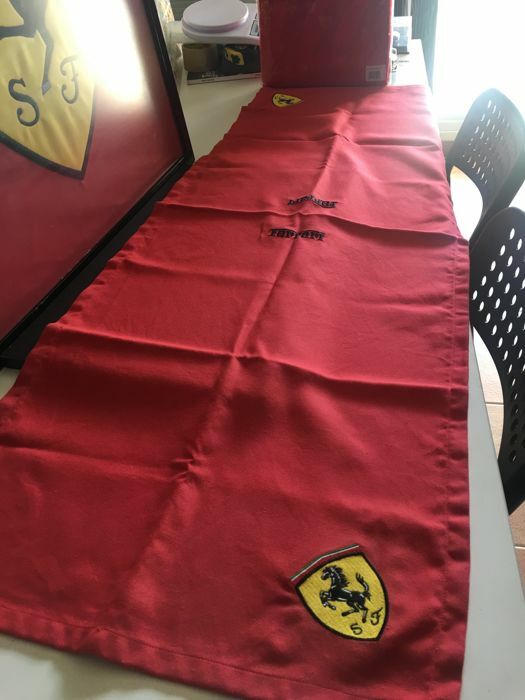 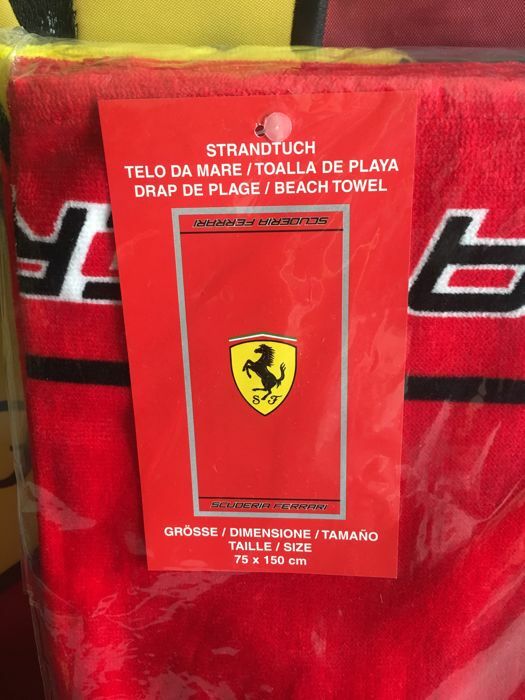 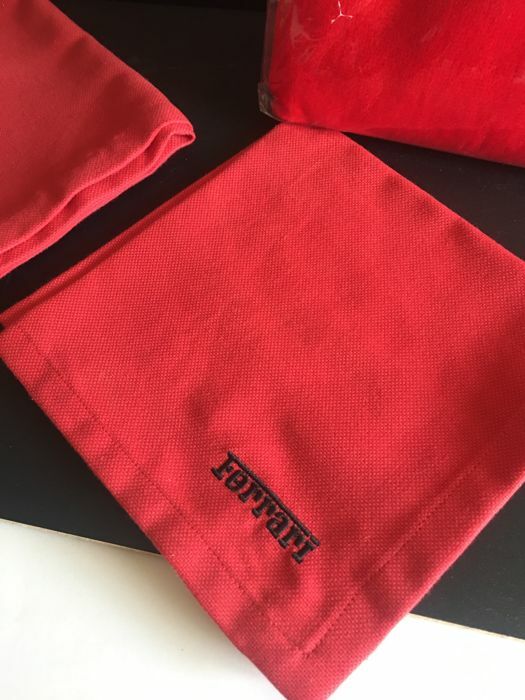 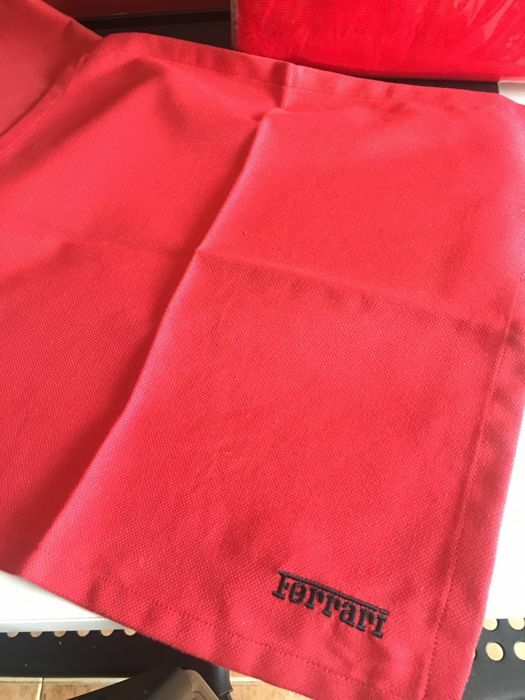 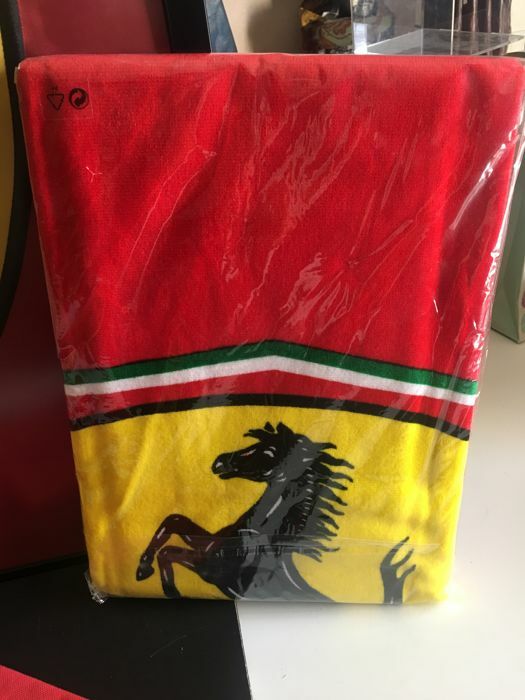 Large official towel of the brand. 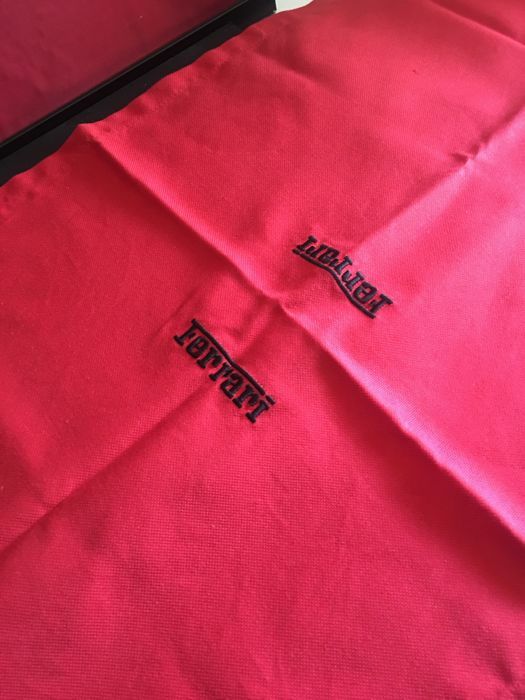 Original and rare tablecloth with embroidered ‘scudettos’ and matching napkin. 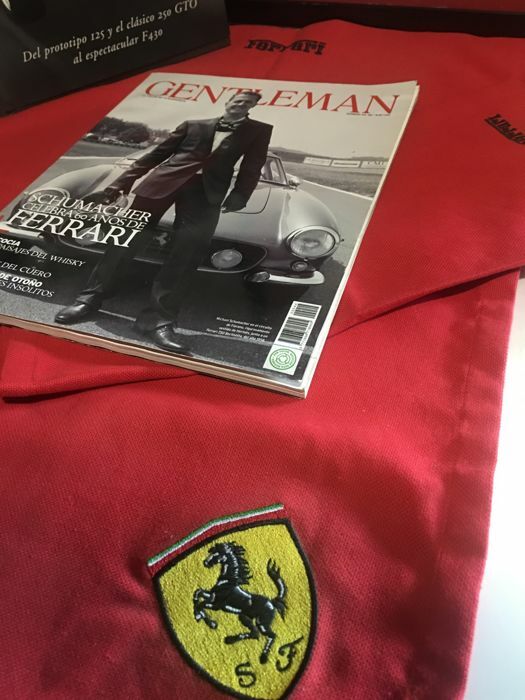 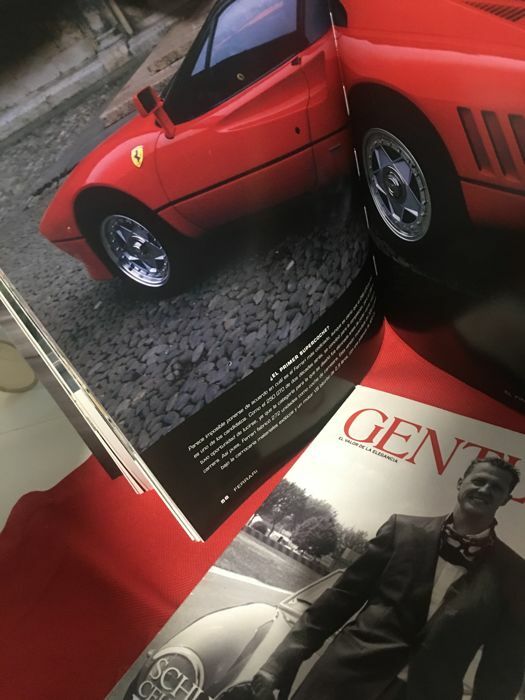 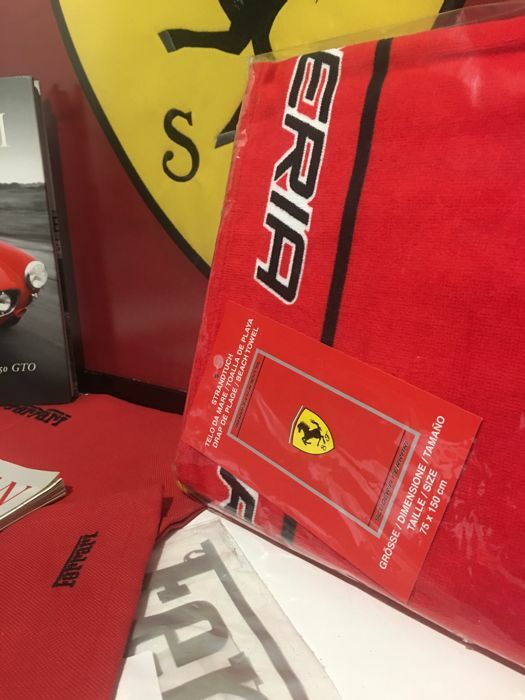 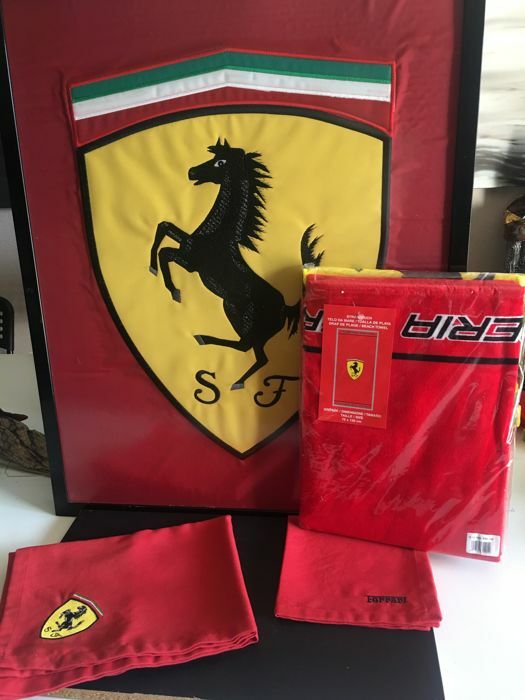 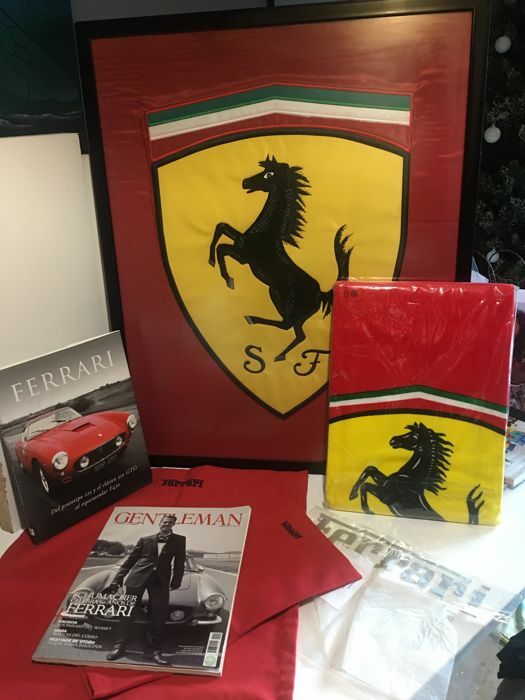 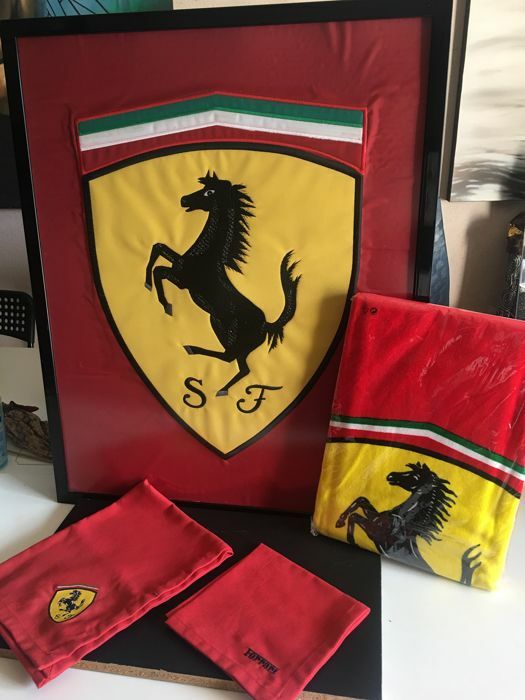 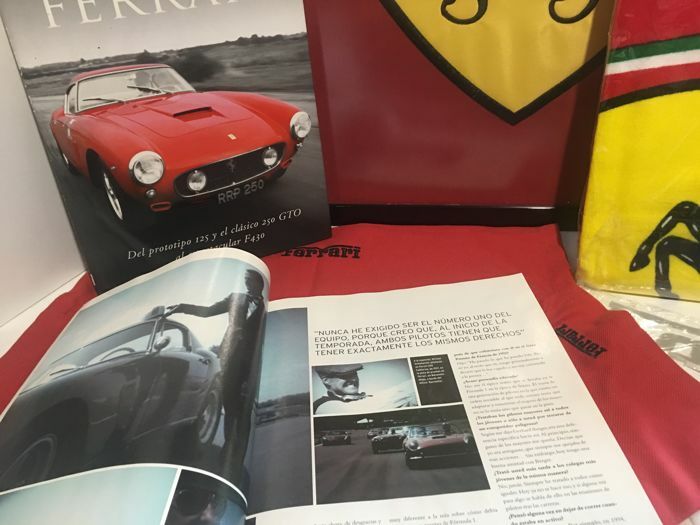 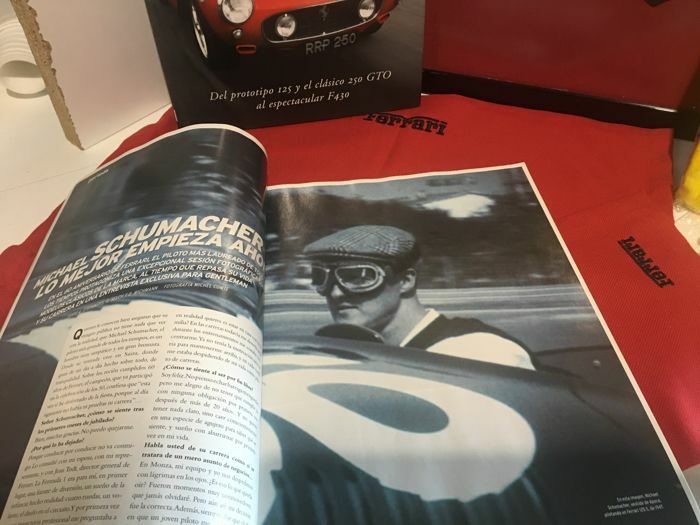 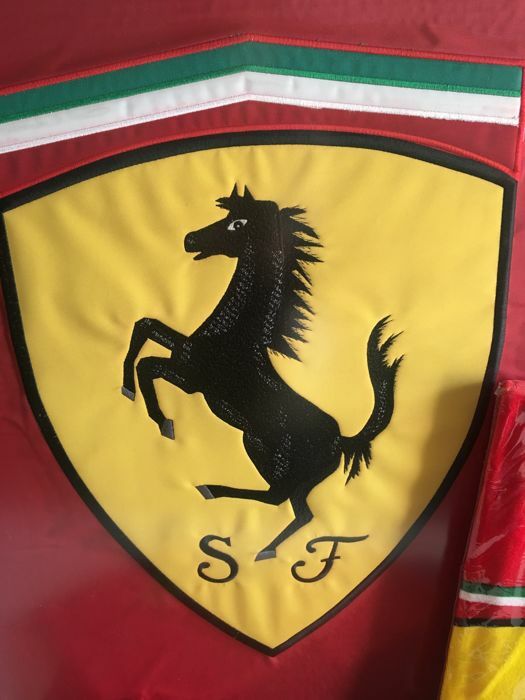 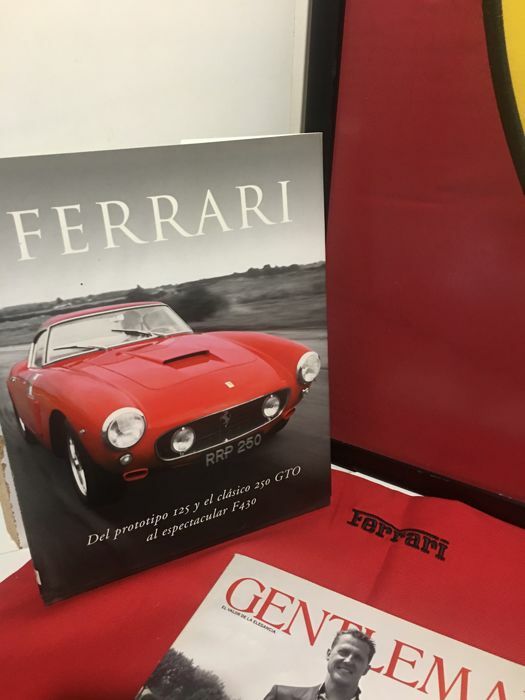 Ferrari book, with texts and pictures. 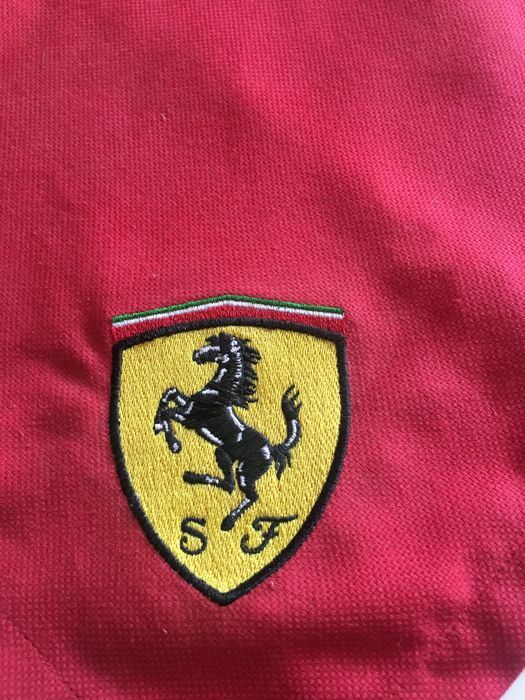 Perfect lot for brand collectors.